Independence and Unity Day is a public holiday in Slovenia celebrated on December 26. It commemorates the official proclamation of the results of the Slovenian independence referendum on December 26, 1990. 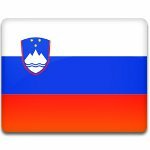 Slovenia became part of Yugoslavia in 1918, when the State of Slovenes, Croats and Serbs merged with Serbia. During WII, it was annexed by the Axis powers. When the war ended, Slovenia became part of the re-established Yugoslavia that was transformed into a socialist state. The first demands for democratization and independence of Slovenia were voiced in 1987 by a group of Slovene intellectuals. After a series of revolutionary events, the Slovenian Assembly held an independence referendum. The referendum took place on December 23, 1990. Its results were officially proclaimed three days later. 88.5% of all electors (94.8% of actual voters) supported the independence of Slovenia. The anniversary of the announcement was declared a public holiday. Slovenia's Independence and Unity Day should not be confused with another national holiday, Statehood Day. Statehood Day is celebrated on June 25 to commemorate the declaration of the country's independence from Yugoslavia in 1991.